New Yorker takes great pride in its reputation for customer satisfaction. Attention to detail is key to a positive product experience. Customers in the fitting room are familiar with the process of selection that ultimately results in a satisfying purchase. However, the on-line experience is different and often presents barriers to a successful outcome. These barriers can be measured by a relatively low conversion rate compared to a high repeat purchase rate. New Yorker knew it had great product and on-line purchases did indeed satisfy customers who were willing to complete the conversion process. It just needed to figure out a way to encourage the hesitant shopper to stay the course. New Yorker is an established apparel maker in Japan, which has been making and selling ready-made garments since 1964. The company runs a full manufacturing cycle that includes material fabrication, beginning at the farm and ranch, garment design and development, as well as production and retail sales of fabric and clothing items. New Yorker offers basic styles reflecting high quality craftsmanship and current cosmopolitan fashion trends. Fanplayr executed a campaign strategy to identify hesitant shoppers and incentivize them to make a purchase. Once hesitant visitors converted, confidence was high that they would be happy with their purchase and would likely return for more. Segmentation strategies were identified that isolated purposeful shoppers, who were intent on making a purchase. Fanplayr was therefore able to specifically target the remaining hesitant shopper traffic with various offer types such as, “Engagement”, “Upsell”, “Cart Push/Close/Abandonment and Recovery”. This resulted in many new conversions from shoppers who would otherwise have simply left the site, never to return. During a 4 year period, AB testing has shown CVR has increased by 24.13%, and total revenue from the targeted group by 31.5%. 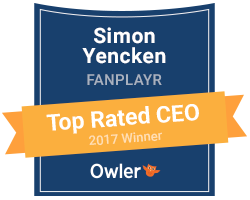 Overall, Fanplayrs’ total revenue contribution exceeds 6% and net ROI to New Yorker is 11.3 times their investment in both Fanplayr and targeted incentives.